Teaching safety and skills that will last a lifetime! 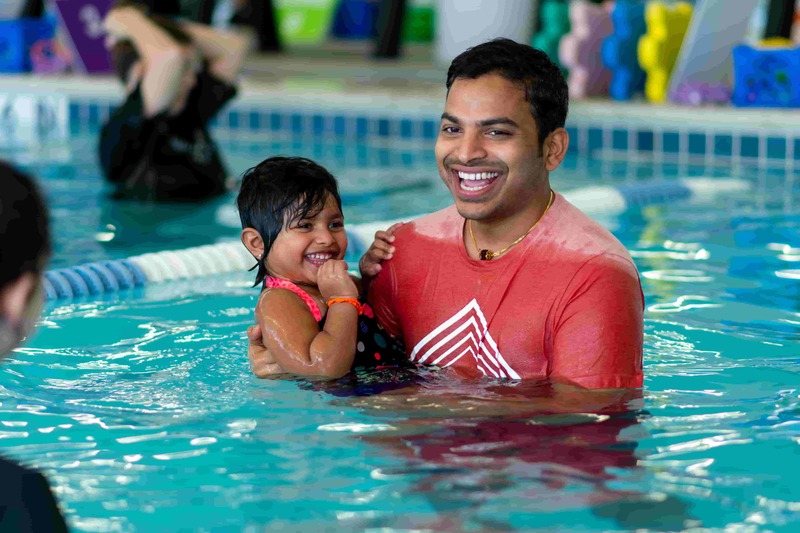 Our Baby Swim lessons put parents in the pool with infants starting at 6 months old. 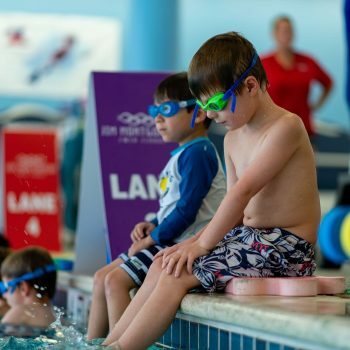 Our group baby classes incorporate water safety, comfort and teaches independence in the water. Keep the kids moving above and below the water. 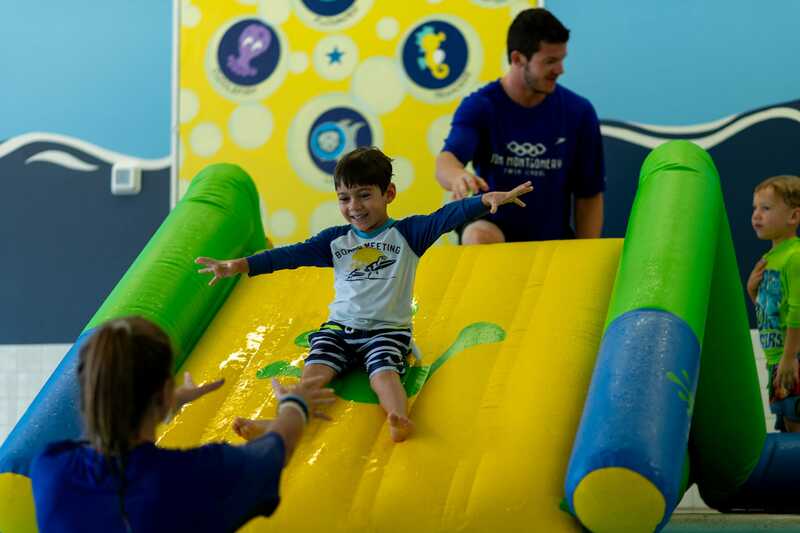 Kids Swim classes teach basic skills and safety in a positive atmosphere filled with laughter and praise. It’s so much fun, they’ll forget they’re learning. Learn all four strokes, boost skills, increase confidence and learn how to set and achieve goals. 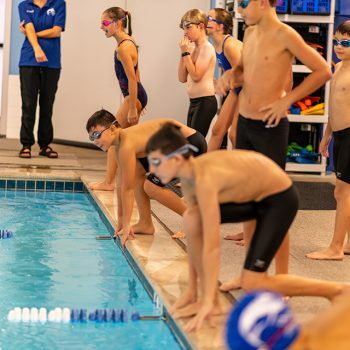 This is the only program in North Texas to build a bridge from learn-to-swim classes to competitive swimming. You’re never too old to overcome a fear of water and learn swimming skills – floating, breathing, basic strokes and more. Work at your own pace to gain control and build confidence in and around the pool. 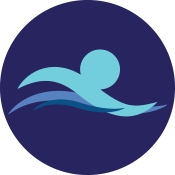 Do you have a competitive swimmer looking to bolster their skills or compete in a competitive environment? 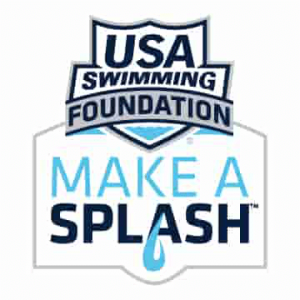 Then check out our in-house Marlins program, or for future Olympians, our USA Swim Team. 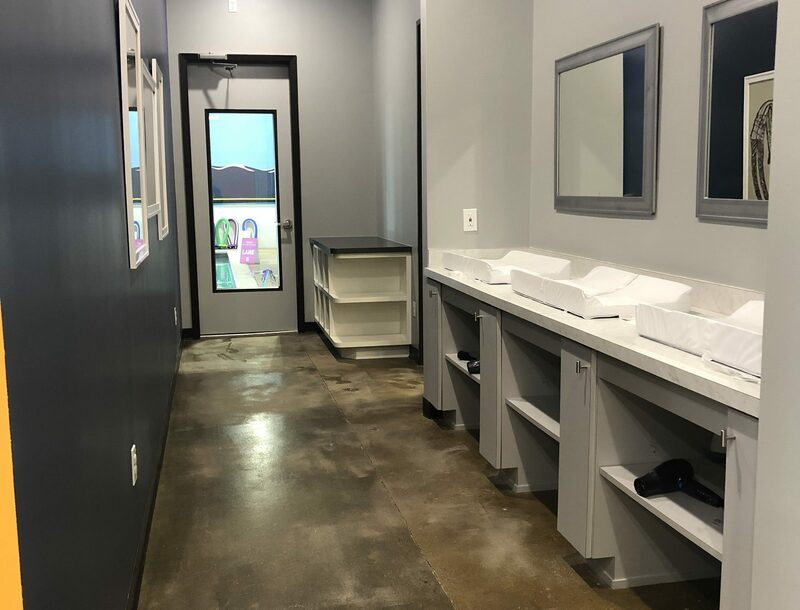 Established in 2015 by father daughter duo Jim and Ellis, Jim Montgomery Swim School’s goal is to provide first-class swimming lessons and classes for youth and adults in Dallas. 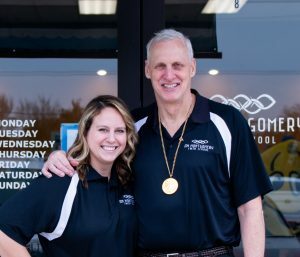 Through his years of Olympic training and Master’s coaching, and her years as a swim instructor and an educator who specialized in early childhood development, Jim and Ellis have developed an award-winning program for all swimming levels from beginner to competitive. 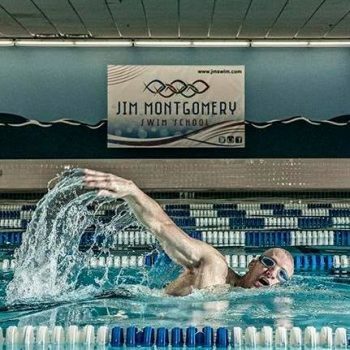 In Jim’s post-Olympic career, he has taught adult swim for fitness, coached high school varsity teams, led people in overcoming their fear of water, and taught anywhere from kids to pre-teens. 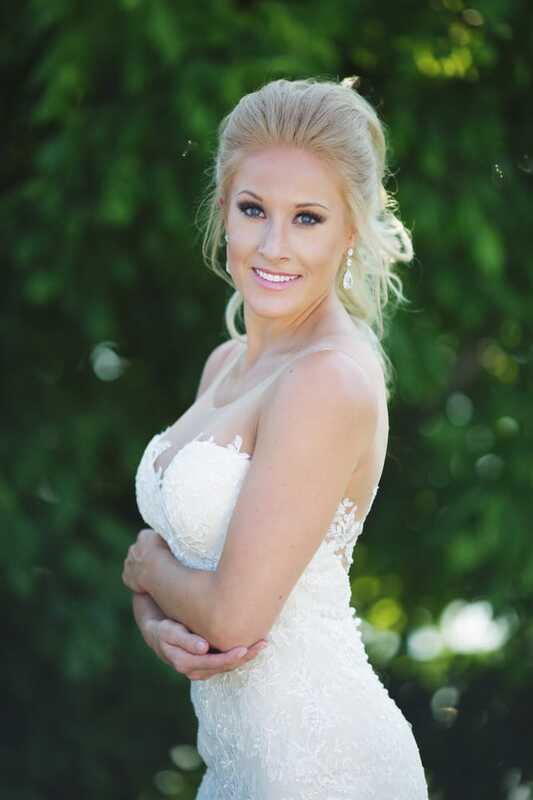 Ellis has been teaching swim lessons for half of her life and focused her degree on Early Childhood Development before pursuing a teaching career. 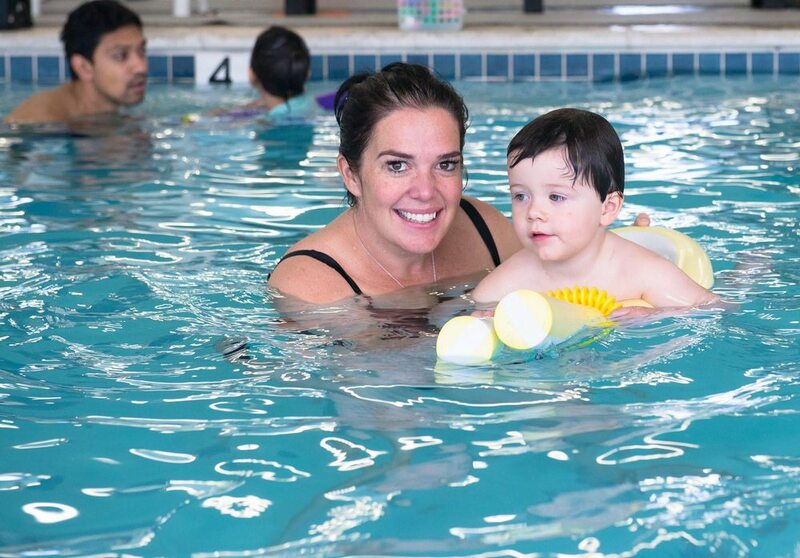 Ellis developed our Baby Swim and Kids Learn to Swim program here at JMSS. 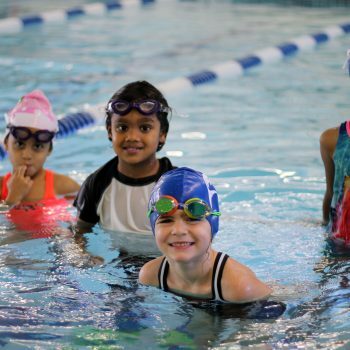 From your child’s first splash in the water to swimming the length of the pool, the Jim Montgomery Swim School (JMSS) helps students reach personal goals in a safe, confidence-building atmosphere. Achieving goals comes naturally to Coach Jim Montgomery who won three gold and one bronze medal in the 1976 Montreal Olympics. Jim was the first man to break the 50-second barrier in the 100-meter freestyle. 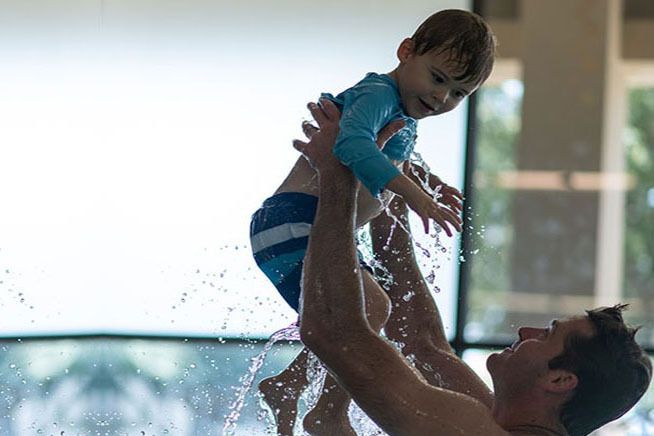 He shares his knowledge and lifelong love of swimming with you and your child! He’s taught thousands of children and adults how to feel safer in and around the water, get fit and love to swim. The coaches are awesome and both my boys have thrived in their swim classes here. Highly recommend, worth the drive wherever you are! 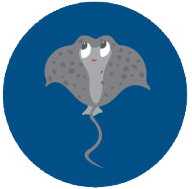 Wonderful swim school, with an excellent focus on safety. Kiddos are super confident in the pool now. The coaches are amazing, all the admin team are so lovely. Everything is very well organized and very professional, and the school is beautifully designed! 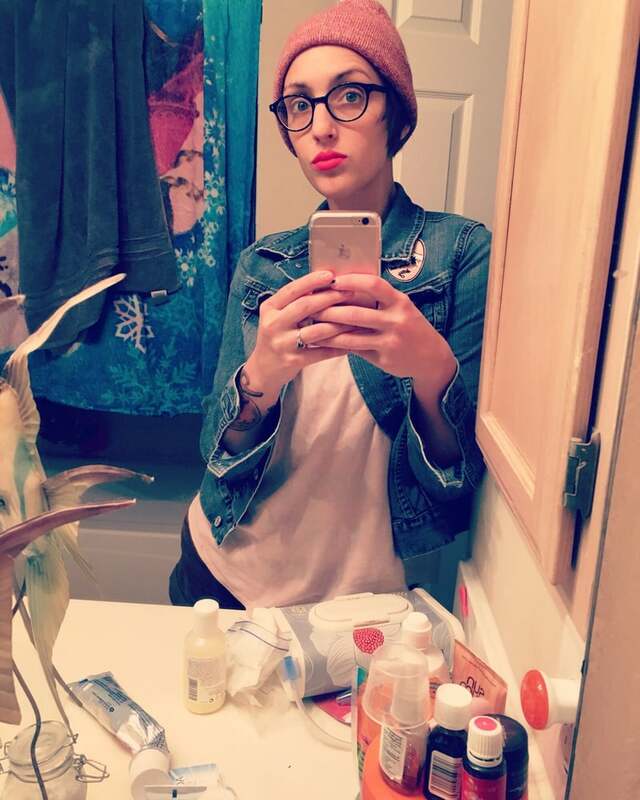 I travel a good way to get here and wouldn’t think of changing. 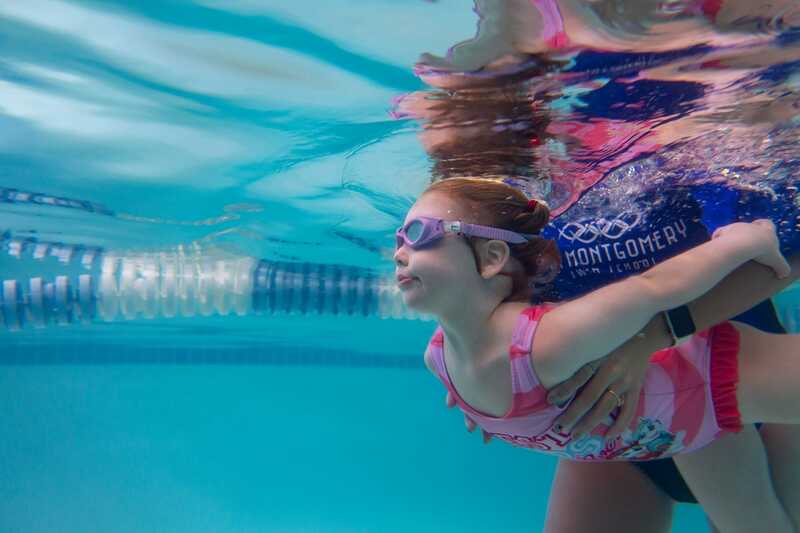 My daughter has been taking swin lessons at Jim Montgomery for almost two years and loves it! She has made great progress and is now a sucessful swimmer. 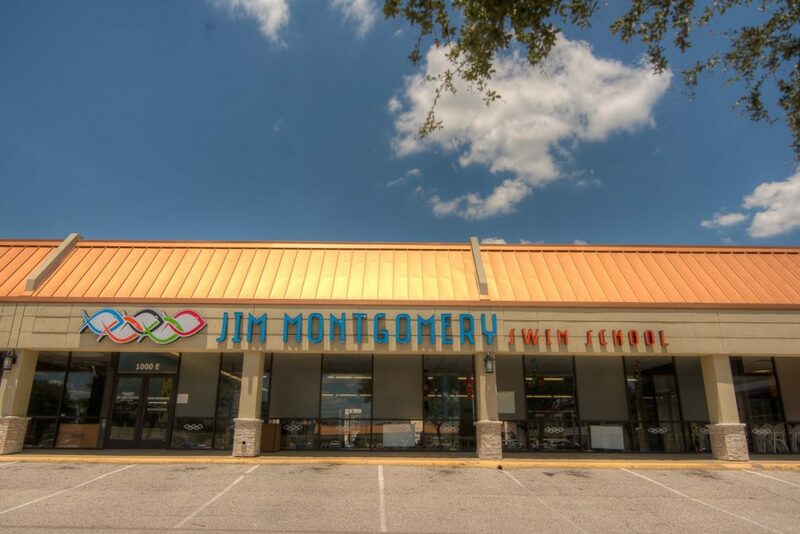 The staff at Jim Montgomery are very helpful, the schedule is very flexible, and they’re open on Sunday! 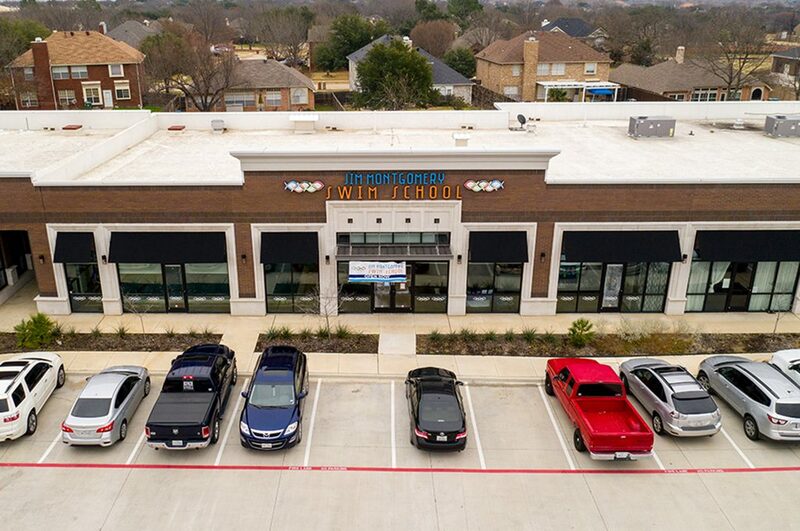 If youre in Lake Highlands, the school is a quick 10 drive. Highly reccommend! Love the kids and adult programs! Instructors are great. 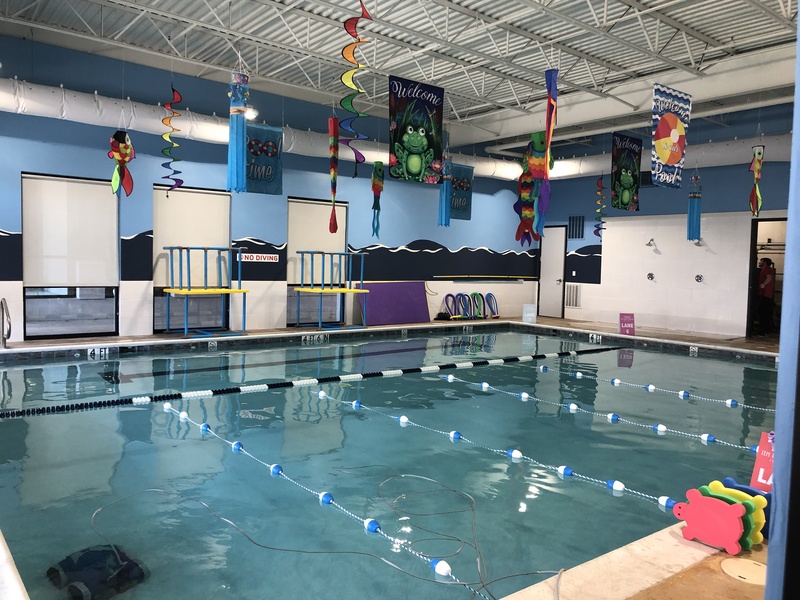 We really enjoy their classesMy kids enjoy swimming and learning at their own pace and they feel so comfortable with each skill.I especially want to say that their adult classses are excellent and would highly recommend taking their BEG/FOW combo class. For an adult learner, it was so empowering to learn the skill of floating. Donna is a superb instructor who is not only patient but very encouraging. Highly highly recommend this class for adults too. This school has an AMAZING approach to helping ADULTS learn to swim. I’ve taken three separate swim classes as an adult over the past 15 years and have failed to become water safe. This year for my fourth attempt to master the basics, I decided to try Jim Montgomery Swim School. I knew I was comfortable in shallow water but did not have the ability to perform sufficient breath exchange and still harbored a pretty good fear of deep water. I started with Beginner Swim. These four classes with Cheryl were phenomenal. By the end of the sessions I was able to move the entire length of the larger pool without touching the bottom or sides. 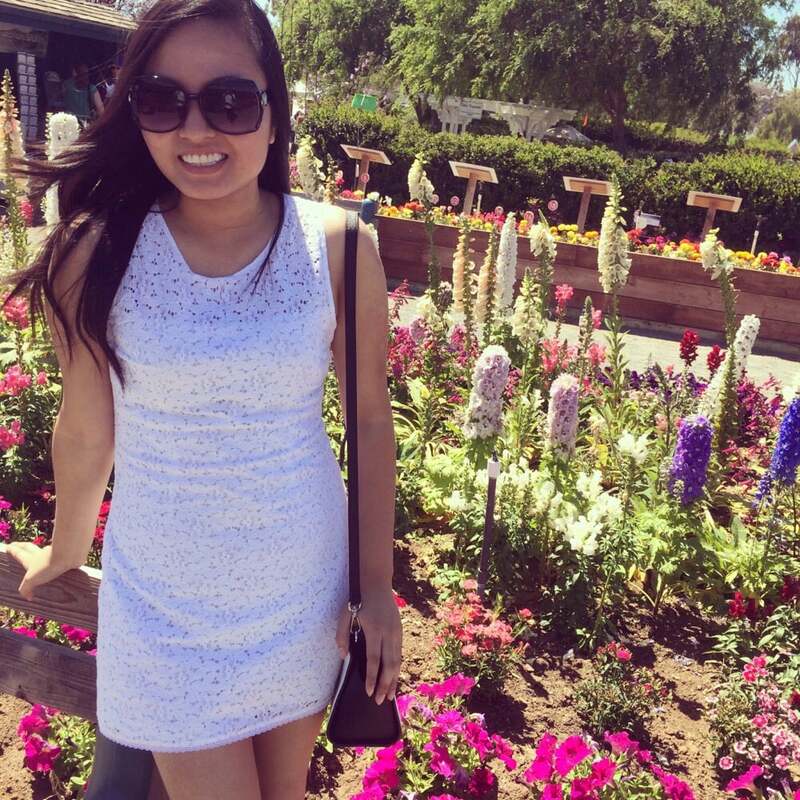 This was a huge improvement for me and further increased my desire to learn more. Next step, concurring the deep. This two day course with Donna helped me realize that I can enjoy time in any level of water as long as I have the correct skill set and mental peace. By the end of these sessions, I was able to join my classmates and jump off a diving board into 17 feet of water, vertical bob a bit and then back float back to to the wall. 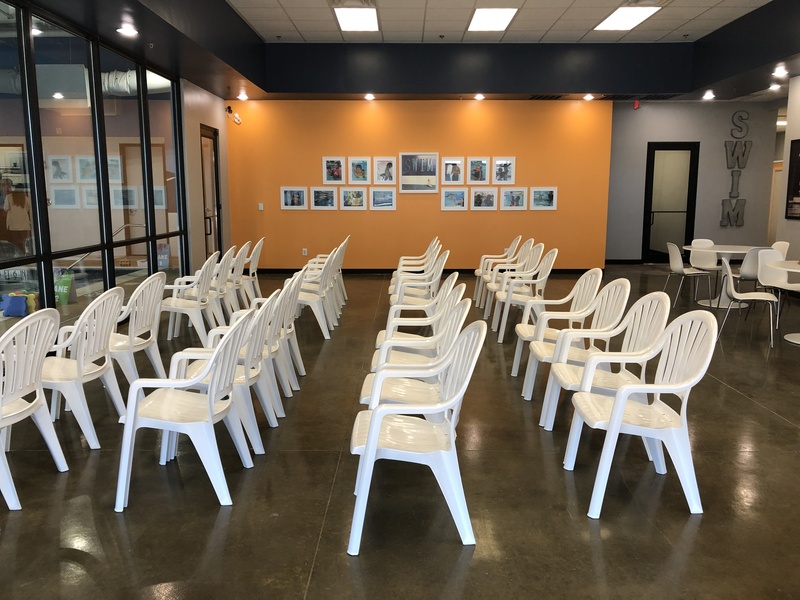 It is clearly apparent that the team at Jim Montgomery are passionate about what they do. 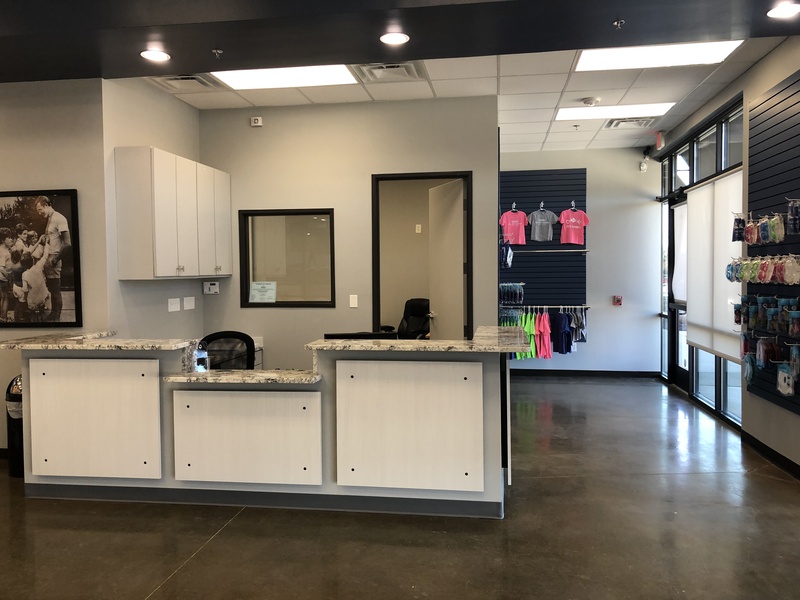 Cheryl and Donna go above and beyond, the spotters who helped during class are open and encouraging with their own swim journeys and the facility is top notch. I feel I can only get better with practice and look forward to learning how to better propel myself in the strokes classes with coach Jim.